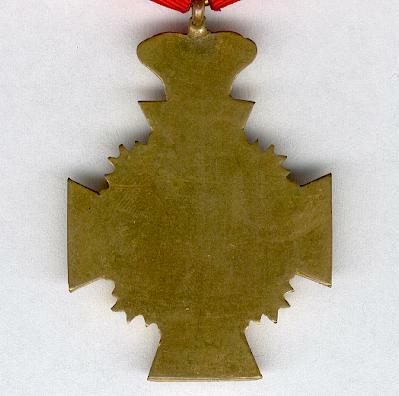 Brass cross pattée with rays between the arms on integral royal crown suspension; the face with a central medallion with the figure ‘16’ surmounted by the monogram ‘C IX’ for King Christian IX; the reverse plain; in excellent condition; on original ribbon mounted for wear. 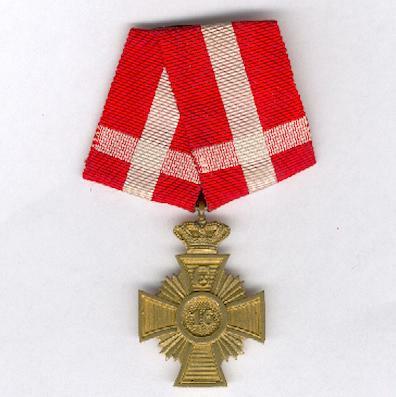 Denmark’s faithful service decorations were reformed in 1854 and are awarded for eight years’ service and sixteen years’ service. 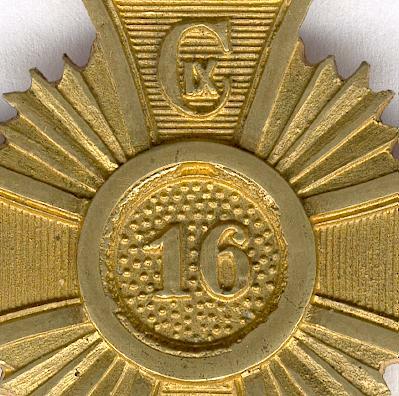 Recipients of a sixteen-years’ award are required to return the eight-year award. 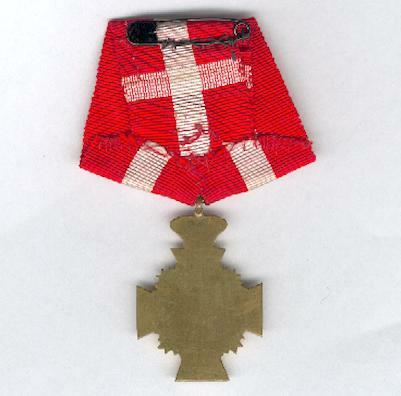 King Christian IX reigned from 15 November 1863 to 29 January 1906. 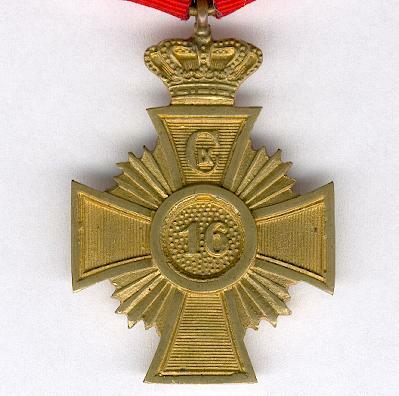 The King’s reign was dogged by the unsuccessful war with Prussia over Schleswig-Holstein in 1864 and his early resistance to democratic change, though he did eventually bow to a more representative consititution. He is perhaps best remembered as ‘the father-in-law of Europe’, his children becoming respectively King of Denmark, King Greece, Queen Consort of Great Britain, Tsarina of Russia, Duchess of Cumberland and husband of Princess Marie of Orleans-Bourbon.